You are here: Home › How To Make A Blog and a Blog Income › What’s The Right Length Of A Blog Post For Optimal SEO? When you sit down to write a blog article, what’s your motivation for writing? Is it that you have something interesting to say, which you hope will appeal to your audience? Or do you write with the intention of bringing in all the keywords you can…for optimal SEO, in a drive to enhance your site, get it noticed by the key search engines, and gain more custom? Whatever your motivation, it’s important to always bear in mind exactly why you are blogging. Optimal SEO…Don’t Worry About it! If you are writing through a passion for your subject, then you don’t really need to bear SEO in mind, if you’re happy having a platform for self-expression which doesn’t rely on a large amount of traffic passing through. However, even if you are a hobby blogger, it’s well worth considering your SEO tactics, to make sure your words get heard and responded to. When we write about something we are really interested in, it’s easy to let enthusiasm steer the way. We can sit down with the intention of writing a small missive on a topic we want to air, and sit back half an hour later to discover that we have churned out a post of thousands of words. We publish it, proud of what we have accomplished, and feel despondent when it doesn’t receive the attention or credit it deserves. Similarly, if we sit down to write and aren’t in the mood, trying to pull out a few hundred words on our chosen subject can be more painful than waking up in the dentist’s chair to discover that the laughing gas has worn off. Optimal Seo…it’s all about length! Blog writing, like any other discipline, has a few rules for doing it in the best possible way, and the length of your post is as important as remembering to pepper your text with keywords and backlinks. Blogs are essentially online information repositories. Our readers come to our posts because they are trying to find something out, and despite all the research which goes in to search engine optimisation, if we alienate our readers, as potential customers, we lose the whole point of having a blog in the first place. If we liken blogs to newspapers, it gets much easier to see how we should write, and what length our posts should be to keep our customers happy. You may have noticed that I like to post up articles which are about 500 words in length. If I get carried away I can go up to much more than that, but really that is a kind of self-indulgence and I shouldn’t do it. In 500 words, you have the ability to tell a small story – you can set the scene, drop in as many of your keywords as you like, and bring the tale to a conclusion. You know that your post will not take longer than around five minutes for your readers to absorb. This is ideal, because readers don’t go online to plough through reams of text – that’s why man invented books. Your ideal length of text for a blog article depends upon a few things – what you have to say, how you want to say it, and how much detail you want to go in to. However, as a general rule, keep your posts the same length as a pithy news article, and you have everything in place to keep your readers and do a great job. This article is now nearing 600 words. I’m going to shut up! Oh…hold on…to answer the title of this blog post…make sure your text blog post is at least 300 words! 69 Responses to What’s The Right Length Of A Blog Post For Optimal SEO? 300-500 words is a good length. As you mention a blog post isn’t a book and people are looking for quick information or something that they can skim. If you have a topic that you’d like to write about and go more in depth, break it into a series or create a white paper or e-book. I agree with breaking blog posts into series of posts when a single topic reaches extreme number of words. The series can even be to our advantage especially if people become hooked up with the content and would love to follow the progress of the topic. That’s clever but totally fun and helpful. I often write a series of posts (and you can interlink them as well!). The key is not to let some algorithm decide the proper length of your blog post. I think that the proper length is the amount that gets your message across clearly and legibly. Purely from an SEO point of view…I believe the post is best to be a minimum of 300 words. I’m with Richard on this one. I think if someone blogs for a specific reason, such as to make money or educate, then short and punchy works. However, telling a story, as well as being thorough in discussing processes, need to go as long as they take. Kind of the difference between Beethoven and Czerny. Remember this post was about SEO specifically. I personally dont have a fixed number of words for writing posts. To me the best way is to juts use as many words as it takes to get your point across. If you can do it in 100 words or a 1000 words, as long as you get your message through, you are good. Thanks. I agree with your statement but this post was specifically about SEO and I believe the post should be a minimum of 300 words. I’d say 500 words is also good, as its nice decent size blog post, not too big and not too small. Your readers would have time to go through it, the key is to break it down in to decent paragraphs so it’s easy to consume. Overall the main aim should be to produce good quality content regardless of the size, For example look at Seth Godin’s blog, it’s not always over 500 but it’s something that relates to its readers, and provides value. Again I agree but the post was about the SEO side of blog posting. Good stuff, short and sweet, those are the real guidelines, right? When I first started blogging (OMG in my fifth year) I was used to writing chapters in a book. Never one post under 2500 words. Not many people read them. You are right. 500 words? That’s hard but I will try. I get good comments at about 750. The thing to remember is that each blogs audience is different and like different things…including length of post. If yours is 750…stick with it. Wow. Most of my blog posts are much shorter than that. The main purpose of my posts are to put out new music, not to write a lot. Do you still think it is necessary I write at least 300 words in my niche? Yes but only from a SEO point of view. Like you I tend to aim for around 500 words. I don’t tend to write SEO driven articles, however, I still rank for my keywords. Maybe it has become so natural to me now that I don’t need to. I bet you could write a 500 word article, without using a keyword tool, and still hit a 2% keyword density. You are right. The keyword toll is there for ‘peiece of mind’! I feel there’s a double relationship between lengths of blog posts and how narrow a blog is, and the frequency of the posts. If you’re blogging about advanced fitness tips for building muscle, you will – over time – have a captive audience looking for blog posts that are high-value and in-depth, regardless of length. If you’re blogging how to effortlessly lose weight by the minute, you risk to attract tire-kickers with an attention span for a few pics and a couple of hundred words max. I usually go for at least 500 words which seems to work well. What I find funny sometimes is that I have better traffic on short posts than with longer ones, from 800 words up. I always aim to write with seo in mind but it seems shorter posts perform better. I thought I’d let you know that your subscription link isn’t working. I can’t unsubscribe from this post. Whenever I write a blog, I always make sure that the content is something I really like. I also always make sure that the length is not too long or too short. I’ve seen many blogs with very long articles. However, I don’t like reading them as they are boring or take too much of my time. I prefer something I can quickly get information from while enjoying what I read, just like your posts. I think the length of a post depends on the topic as well. I like reading blog posts but read only some long ones. Most of the time I stick reading 400-600 words, I keep way from lengthy ones but sometimes if the topic is very important time just flies by reading even an 800 word post. Most importantly breaking up the article I feel is, very, very important. Thanks for tackling up this topic. I had learn a lot from this. I’ve read the comments of some big marketer. And it feels great to learn from it. I am used to write posts with near about 400-450 words and have seen no troubles so far ! The only question is for better SEO how much keywords should be in there ? Though i have read your post with great interest and also got some great points to follo for my future posts ! You want to aim for 1% – 5% keyword density…while still making the post user friendly/readable for your visitors. Your newspaper analogy is a good one. Posts in newspapers vary in length (presumably) according to the topic and perceived audience. Online readers tend to either be in a hurry or have short attention spans. Breaking up the post with headlines and using bold on key words/phrases can be helpful. Best advice I ever read was to write each sentence so that it encourages the reader to read the next one. Is SEO important? Of course it is but it should always be used in such a way that the average reader is virtually unaware of it. I agree, 300 words is a good length to shoot for, but it is best to not shoot for a length at all. If you are able to completely convey your point with examples and valuable information in less than 300 words, then it is perfectly fine. Although, search engines may not pick up on these posts as well as longer posts. I generally try to shoot for over 500 words, but that is completely “after the fact,” as in after I have finished my piece, I will go back through it and check if I should add anything new. For series posts, such as a series of 6 posts explaining a single broad subject, I will tend to write some very short articles (200 to 300) and some longer (400 to 600) purely to help convey my point and split up the article to make it easier to read. The important part is: “For Optimal SEO”. If you are NOT writing for SEO purposes than a post with less than 300 words is fine. not sure what you mean by ‘an artile about downloads’ but 300 words is the minimum you should aim for. Cool cool, it looks like i’m on the right track then. 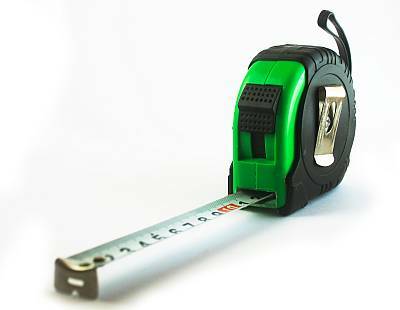 When you say to back link in a post, how many is the ideal number, is there an ideal number? I assume you mean internal backlinking to other blog posts? If so, aim for about one per 200 words. Thanks for that, i typically havent been putting anymore than 1 internal BL per post. Ill increase it slightly. Def dont want any pander slapping going on though. Internal linking should cause no problems. Usually I set myself with 400 as the minimum and never go beyond 700. I think to answer your question with a definite number, it’s got to be 500 words on average. If I go beyond 900, I break it down to 2 separate posts and if it doesn’t hit 400 I either extend it or abandon it altogether. What you outline is an excellent strategy. Do you link the 2 separate posts? While the minimum should be 300 words (including ALT TAGs) the actual length depends on your layout. Generally you don’t want to push more than 15% of the content below the centerfold. Re: Generally you don’t want to push more than 15% of the content below the centerfold. I totally agree. Post length has something to do with SEO. Although I’ve seen graphical sites and pages that rank high for specific search keywords because of the myriad number of backlinks to the page, generally web pages with textual content are going to rank on the first page. Maximum 300 words. Remove the fluff and clutter. Get straight to the meat. Include action items. Actually arrived here because I struggle with this issue all the time. My natural writing style is 600 to 800 words, and I am getting more successful editing things down to 600 words … although I think 500 even better for reader to capture all you’re saying on single screen. What frustrates me is when one article gets broken down into 3 x 300 word articles, to create more advertising real estate. This “About” series has total of 835 words, and 14 ads x 3 pages = 42 ads? I can see the benefit to the visitor of splitting articles down into smaller ones. If the articles were not split…it could overwhelm your visitors. Its hard to get a article ranked in google with little content, 500 words should the the minimum you should aim for. It would be nice if some research was done on different article lentghs and how they rank..
Over at http://www.damniwish.com/, most of the posts are way less than 300 words and all are indexed. It really doesn’t matter how long your post is if the topic is interesting and scannable. I believe that our readers don’t have much time reading our blog post. so better to optimize the length of blog post not to scare our visitors. I agree. If the post in on a subject I like, it’s enticing, not full of fluff and contains some advice I can take action on…I’ll read it in full, no matter how long. I have read blogs with huge paragraphs ..may be more than 1000 words..I guess readers would require a lot of patience to read the entire stuff.So may around 500-600 would be more than sufficient. My comment above to Mohammed determines how I feel about the blog length. Thanks for this interesting post I have wondered about this point, I wrote an article with around 4,500 words! I was worried that people would be put off but I have made it as useful and as interesting as possible. The article ranks on the first page for the subject (increase twitter followers) and has lots of activity. I think list posts are great. When listed they don’t feel that long, even though they are! What’s the 300-word bit regarding SEO? Will search engines refuse to crawl posts that are less than that? Very curious … never heard this til recently. They will still crawl but if less than 300 words, there’s not much text to crawl and not really a chance for the search engines to understand what the post/article is about. For me it really varies. Much depends on the problem I am addressing. But usually not less than 450 words. I think the right length is the amount of words it takes to share your greatest advice. No more, no less. By doing that, sometimes your posts will be great for SEO and perhaps, sometimes not. As long as you post regularly, it doesn’t matter. I like that approach. It shows you are writing for your visitors…which is how it should be! I guess that makes my longest article which is 6500 words SEO unfriendly. What do you think about splitting blog posts into multiple sub pages using the “nextpage” tag? I do it all the time but I see I am one of the few. I totally agree that writing too much will alienate users, human or otherwise. I just am programmed to think and feel that if I haven’t sweat like a pig on something, then I wouldn’t be doing a good job so I always do a lot of research, explain every little detail, assume the person reading has never read any of my articles, quote papers, give lengthy examples. I haven’t written a single article that is less than 2000 words in the past month and I fork out like three a week! I am definitely alienating my readers, who don’t have the time to read all that crap and I am wasting my time, when I can be so much more effective with shorter articles. I will have to fight against myself to manage to get down to at most 1000 words. I am hoping your article here will inspire me. Or at least I can try to alternate short and long articles to make all my readers happy. But thanks so much for pointing out this issue. I often break up my posts into a series of posts. Others I’ve done include back linking, loading speed, corporate blogging. I like doing them and I think it keeps the visitors coming back. I write blog posts of about 600-700 words,but i fill them up with images,quotes etc.,so that the concentration of the readers doesn’t get diverted,for example i had written this post,which gave an in depth idea on sharing content,which was of 850+ words,but it was attracting a lot of user engagement. Sounds like a great approach. Do the posts you write do well in search engine raking? 300-400 is a decent post length. But I once heard that the comments are also counted. Is that true? Comments are used in SEO but to get comments in the first place – the post has to be seen. And the best way to be seen is via the search engines.